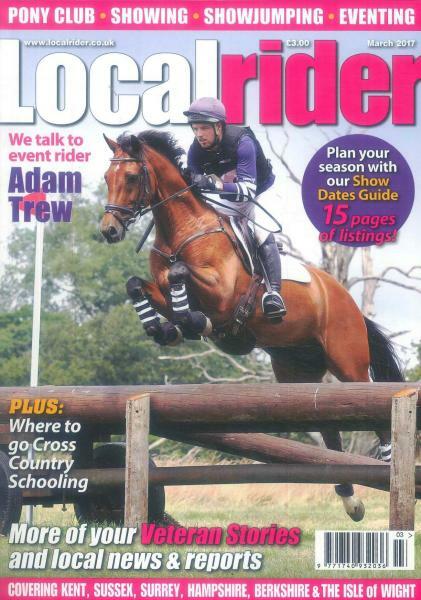 Local Rider Magazine is the equestrians of Kent, Sussex, Surrey, Isle of Wight, and Hampshire. Buy a single copy or subscription to Local Rider magazine. Get the most news and editorials about riders’ profiles, news, and reports about riding horses and owning horses. Each issue is packed with news of shows and events along with full-color photographs to enjoy. Read about horses for those who love horses. Get advice on taking care of horses, from feeding, bedding, worming, and more. Learn how to keep the horse in tiptop condition for shows or just for pleasure riding. Read the featured articles and interviews from professionals in horses. Enter a regional or national show to show off your talents riding the horses. Read the rider profile of those competing in the next event. Get advice on improving your techniques for the next show so you will win a ribbon. Read the results of shows and see who won. Get advice on jumping and training your horse. Learn of key equestrian events being held in your area. See the beautiful pictures of horses. All breeds are covered in each issue. Learn about Quarter horses, Arabians, or Thoroughbreds. Discover the differences in the breeds and learn how to train your horse. Discover horse trails in the reports of equestrian riding locations. Find out the best place, free from crowds. I love local rider! I like it because it gives everyone their owwn spotlight! Everyone should buy this brilliant magazine!